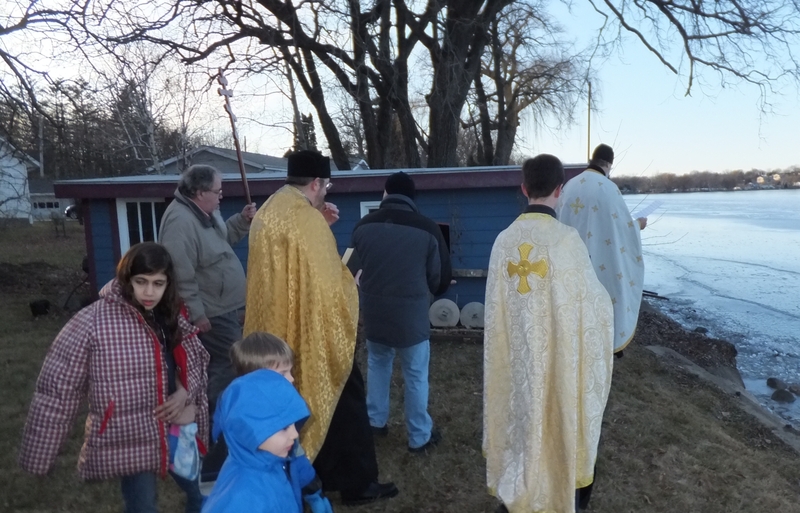 On the Sunday following the celebration of the Great Feast of our Lord’s Theophany and Baptism in the river Jordon (January 6) the parish of St. Ignatius gathers at a parishioner’s home on the shore of Lake Kegonsa in Stoughton, WI, to offer the prayers of the Outdoor Blessing of the water. 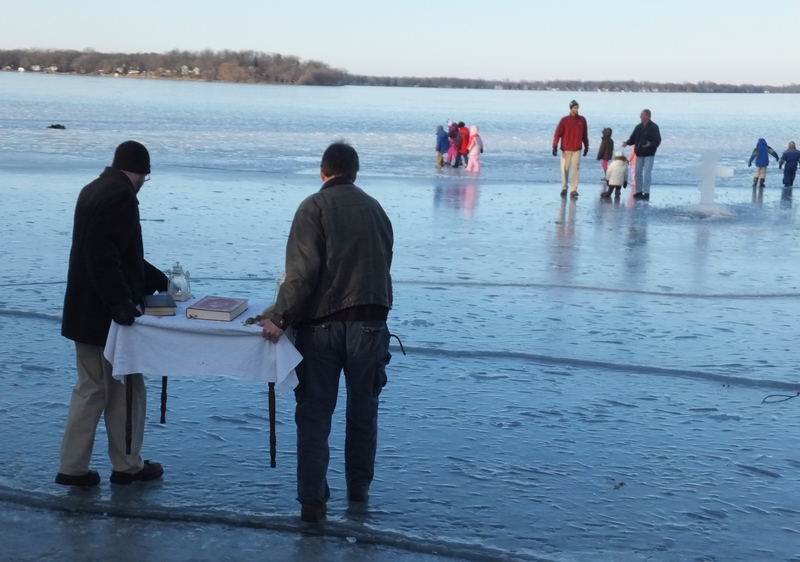 The men setting up the lake for the blessing. … and of the family. The procession to the lake. Fr. 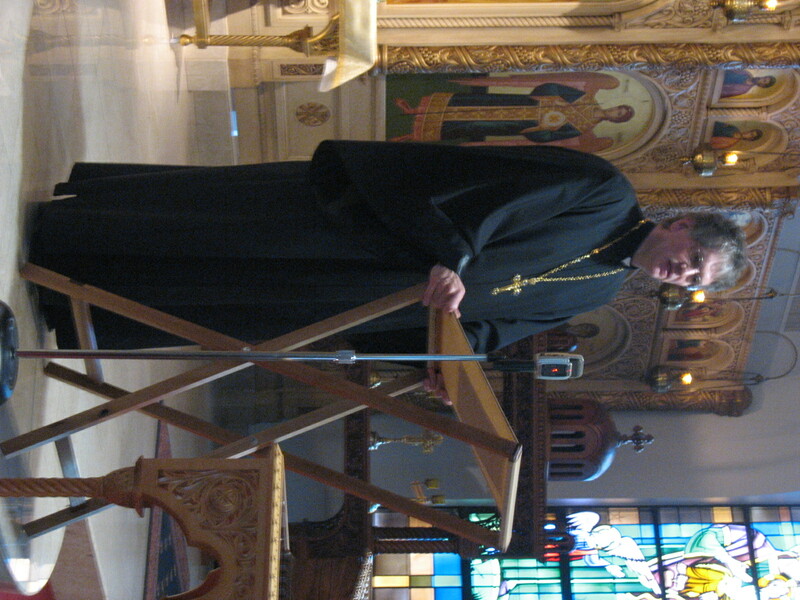 Gregory Jensen reading the Gospel of St. Mark 1:1-8. 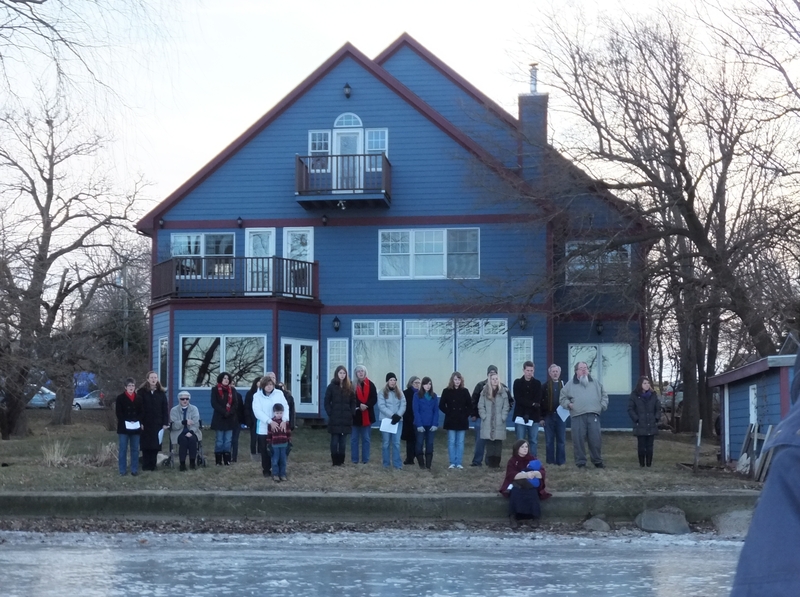 … the rest stayed on shore. Fr. 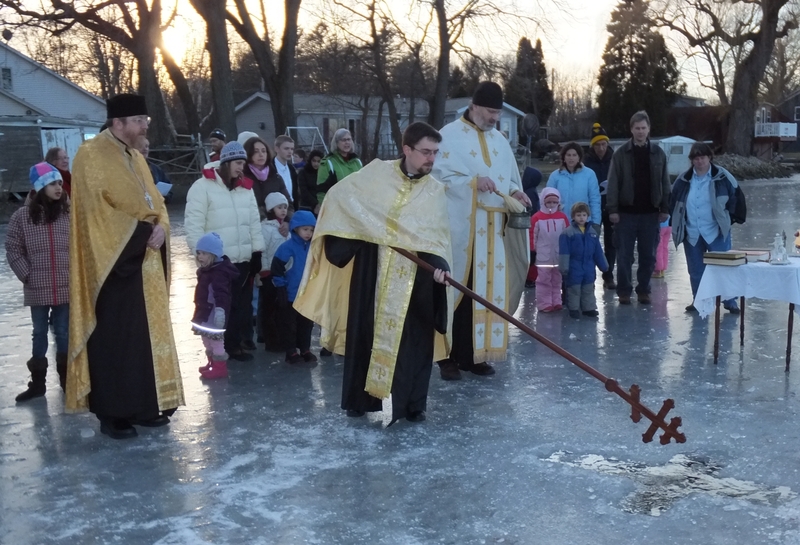 Andrew (Kishler) plunges the cross into the water for the third time. The blessing of the people. Fr. Patrick with Fr. Gregory (R) and Fr. Andrew (L). 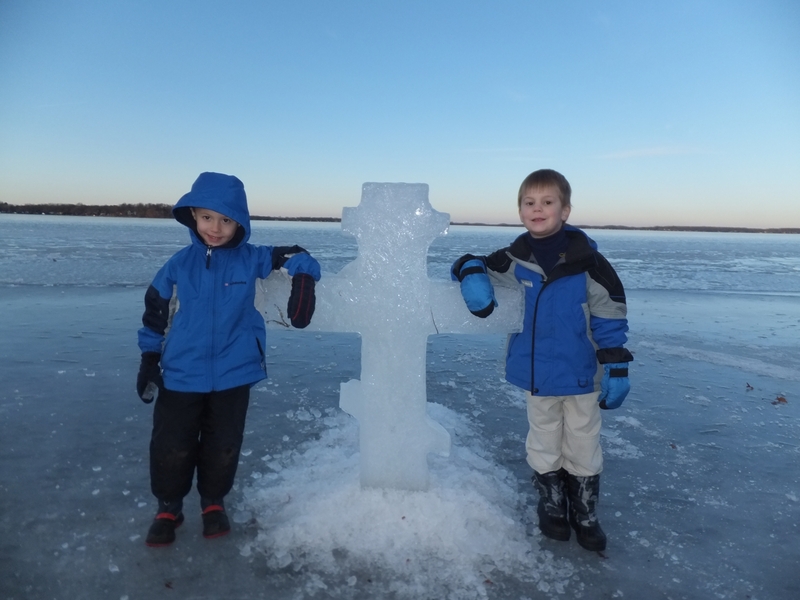 Two of our kids with the ice cross. The final blessing on the way back to the house and an afternoon of good food, fellowship and fun! Following the prayers we returned to the house for a delicious pot-luck meal and a joyful afternoon of fellowship. Axios! He is Worthy! Congratulations to the newly consecrated Bishop ANTHONY, Bishop JOHN, Bishop NICHOLAS! 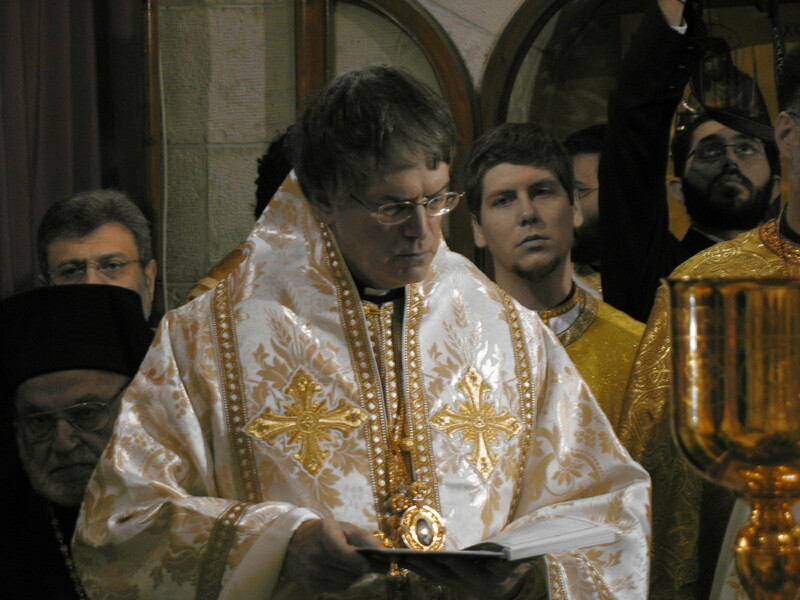 It will be impossible to fully describe the events of this past week, culminating in the Patriachal Divine Liturgy celebrated at Holy Dormition Church at the Balamand Seminary on Sunday, December 11, 2011, where three new auxiliary bishops, His Grace, Bishop JOHN Abdula, His Grace, Bishop ANTHONY Michaels, and His Grace, Bishop NICHOLAS Ozone, were consecrated to serve the Antiochian Archdiocese of North America. 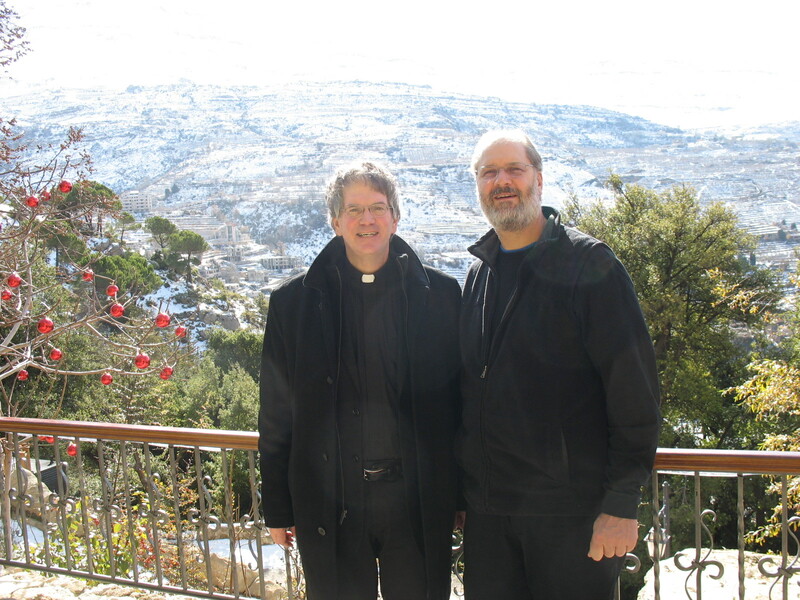 For Bishop ANTHONY the trip began in the Twin Cities on December 7 as we flew from the Minneapolis airport to Paris to Beirut. This long night (and day) ended with our arrival in Beirut at 7pm local time where we met the rest of the United States delegation led by His Grace, Bishop JOSEPH of Los Angeles, and headed to our hotel in the ancient sea port city of Byblos on the northern coast of Lebanon. 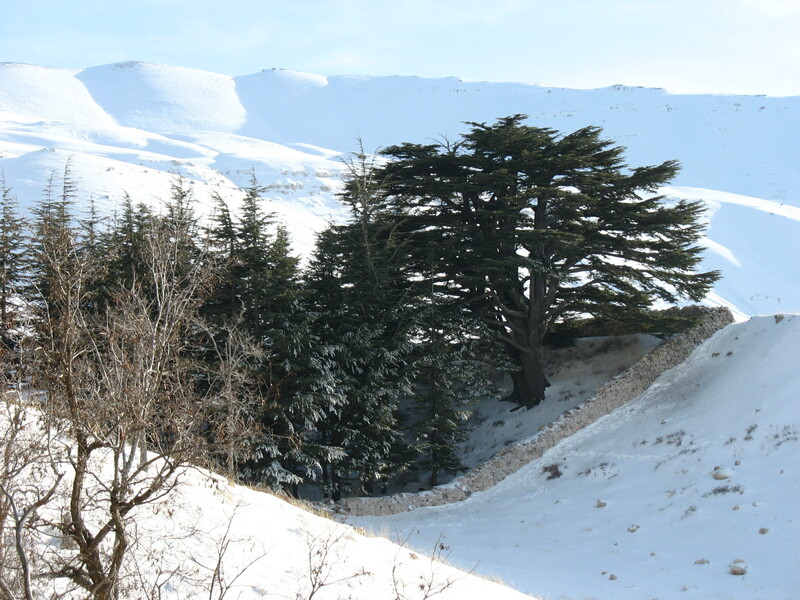 There was much scheduled for this trip, eagerly planned by Mr. Fawaz El-Khoury, including seeing many wonderful sights: From the great Mediterranean Sea to the snow capped Mt. Lebanon with it’s great cedar trees, from the Balamand to monasteries to village churches to St. George Cathedral in downtown Beirut, a short trip to Tripoli and visits to the family villages of Bishops JOHN (Duma) and ANTHONY (Al-Hiat), and staying at the Byblos Sur Mer hotel overlooking the great Mediterranean, a hotel that is virtually built into the ruins of a 12th century crusader fortress. Our first full day together took us to right to the Balamand to be greeted by and receive the blessing of His Beautitude, Patriarch IGNATIUS IV. 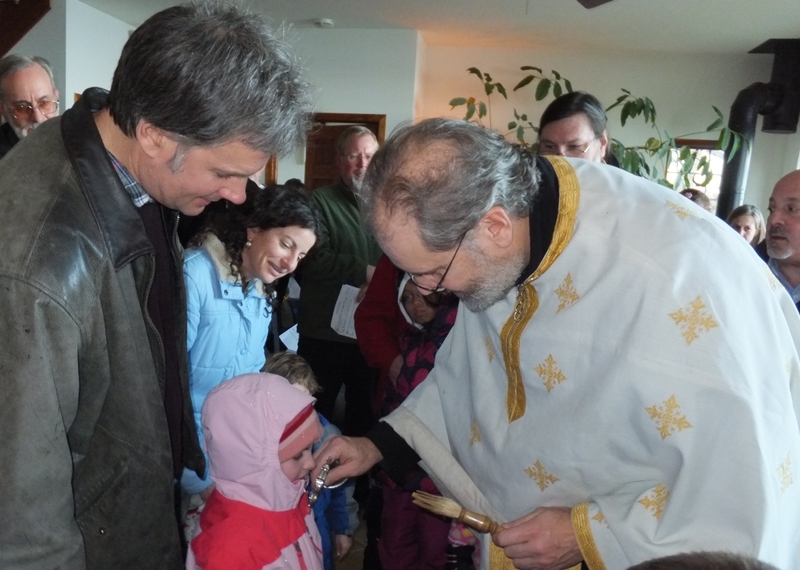 His warm and energetic welcome reminded us of our Christian unity with the Mother Church of Antioch. His Beatitude, now 94 years old, is as vibrant as ever. 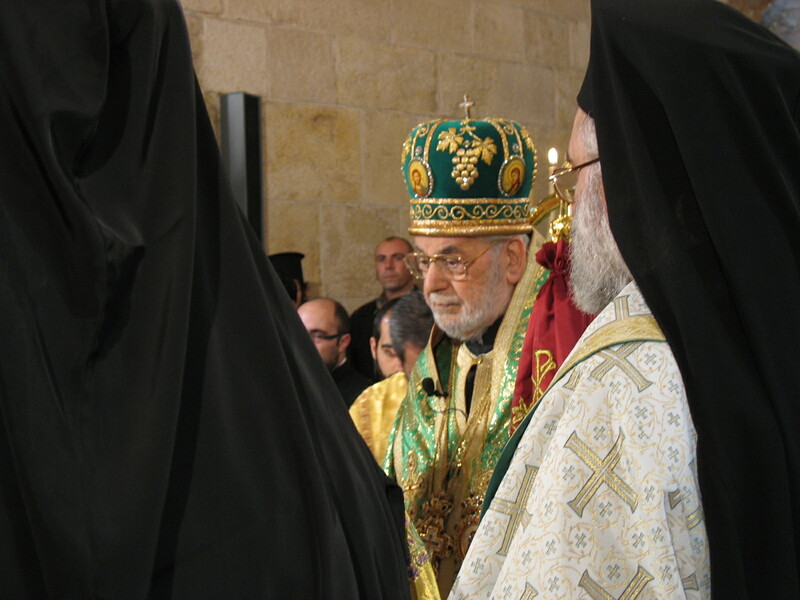 It was amazing to hear and see how he has advanced just the Balamand alone during his many years of service to Christ in the Holy Office of Patriarch of Antioch. Of course, his warmth and enthusiasm translated itself to the main purpose of our trip and all the events relating to the consecration of our new bishops. His Beatitude was surrounded by 12 other Metropolitans and Bishops, as well several priests (at least six sponsors for the newly elected bishops) and deacons, as chief celebrant of this blessed event. Being at the altar with His Beatitude and all the men, and being directly involved in the liturgical service, was truly an indescribable experience. Fr. 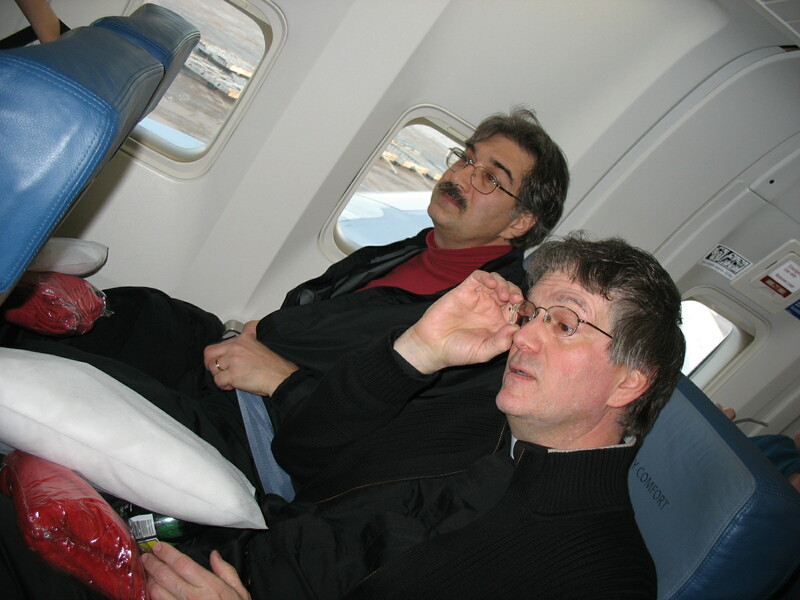 Anthony & his brother Craig preparing for take-off from the Minneapolis Airport. 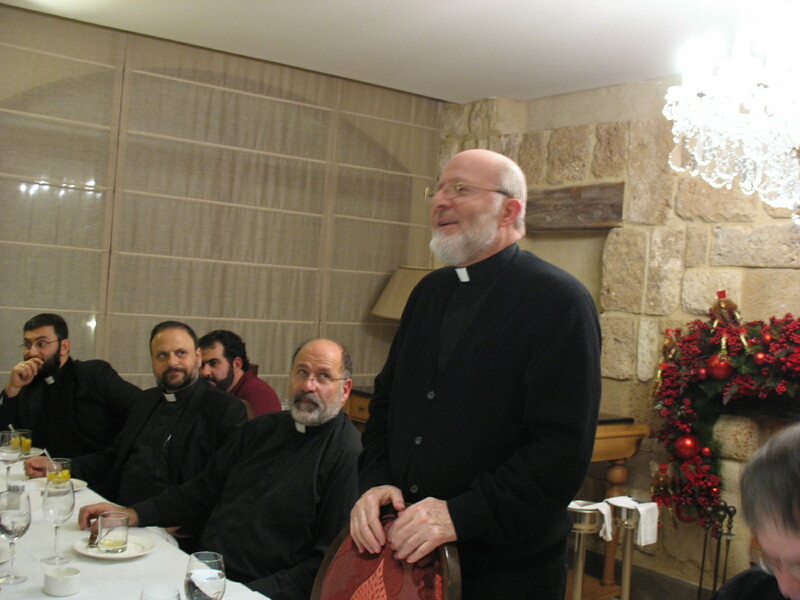 Bishop JOSEPH addressing the delegation at dinner following our arrival from the airport. 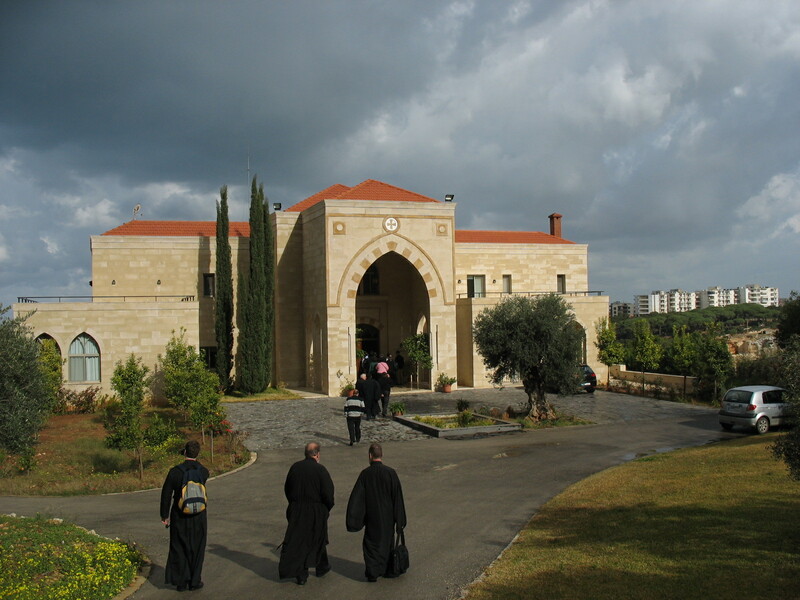 The Patriarch’s home at the Balamand. His Beatitude, IGNATIUS IV, greeting the delegates. 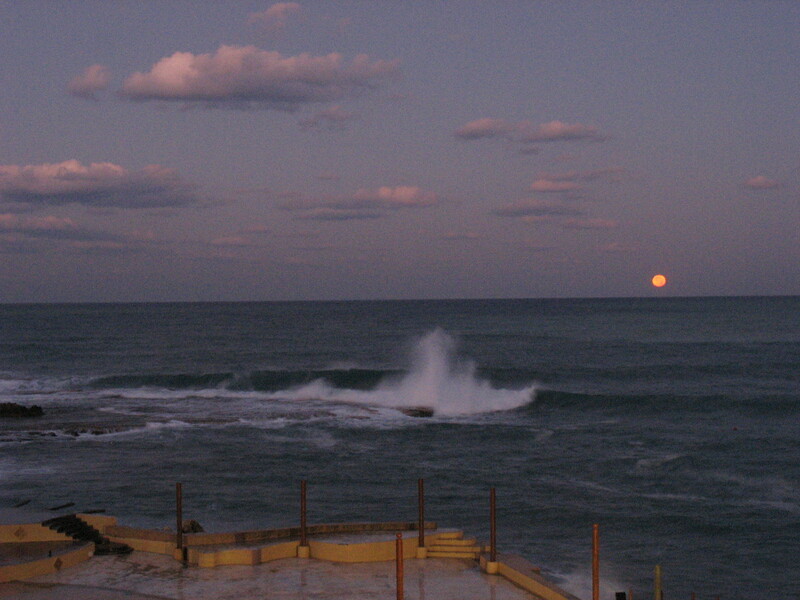 The moon setting in the early morning sky over the western Mediteranian Sea (from my room… couldn’t sleep). 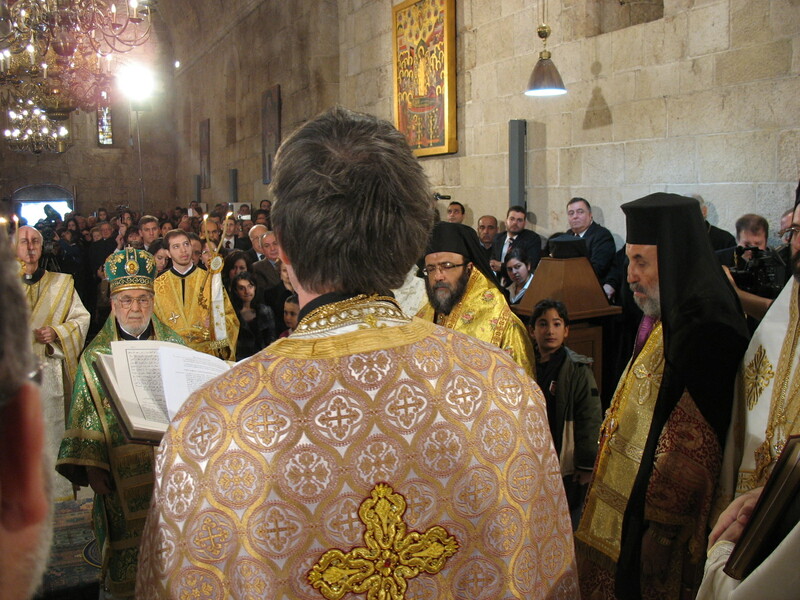 His Beatitude preparing to start the Divine Liturgy. Fr. Anthony giving his confession of faith to His Beatitude, the other bishops, and the entire congregation. The newly consecrated bishops being prayed over at the altar. The newly consecrated Bishop ANTHONY. The newly consecrated Bishops JOHN, ANTHONY, and NICHOLAS listening to the homily of His Beatitude. Our newly crowned bishops with His Beatitude and our newly elevated Archbishop JOSEPH. 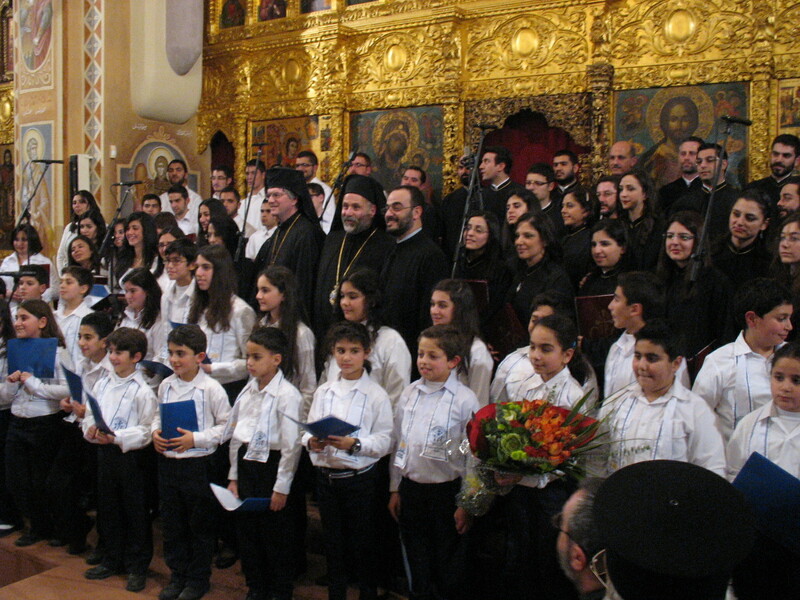 Bishops ANTHONY & JOHN with the Beirut Byzantine Choir. Bishop ANTHONY & Fr. Patrick outside the Khalil Gibran museum on the way to seeing the Cedars of Lebanon. One great cedar many hundreds of years old. 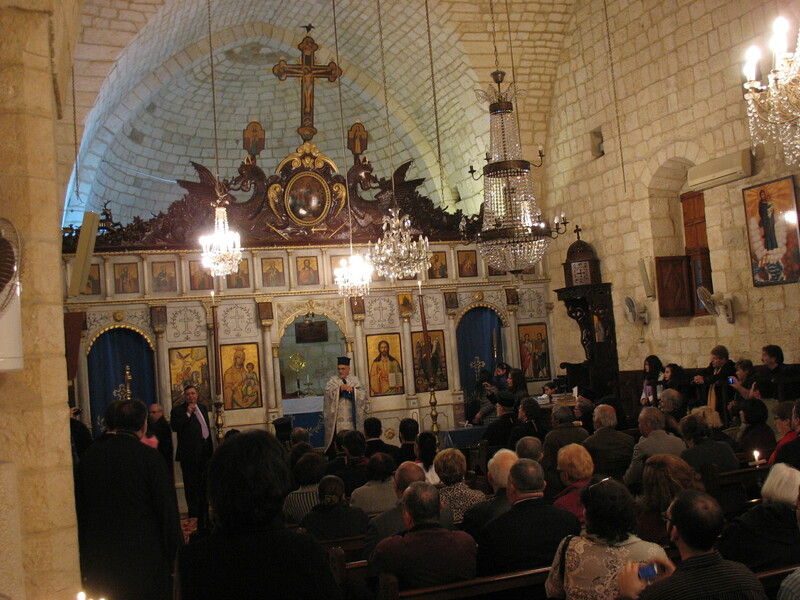 The people of Al-Hiat turned out to greet their native son, Fr. Anthony Michaels, and the entire US delegation. 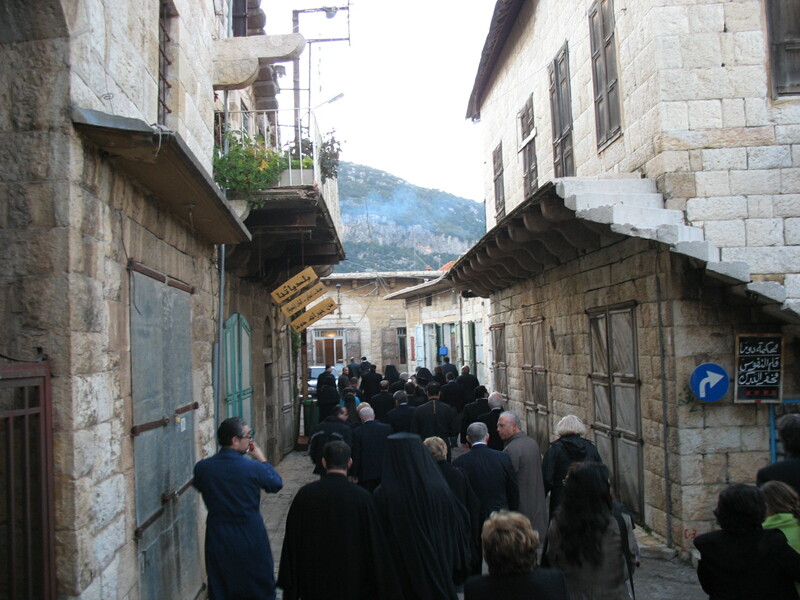 The people of Duma processing to the church receiving their native son, Fr. John Abdula. I passed today on a trip to see the ancient Roman ruins at Baalbek in eastern Lebanon. We’ve had an amazing experience in Lebanon but today, as we prepare for our departure for the states (a 2:05am flight out of Beirut,) I am honestly tired of sitting in a bus and hope to enjoy our last day in Byblos with a walk along the sea coast and maybe a little time spent walking the streets of this beautiful ancient city. There certainly is much more to say about this experience but I will close by saying how deeply impressed I am with my first experience of international travel, and in particular travel to this place of such history. My America is only 300 years old… a drop in the bucket to the stones upon which I am now standing. 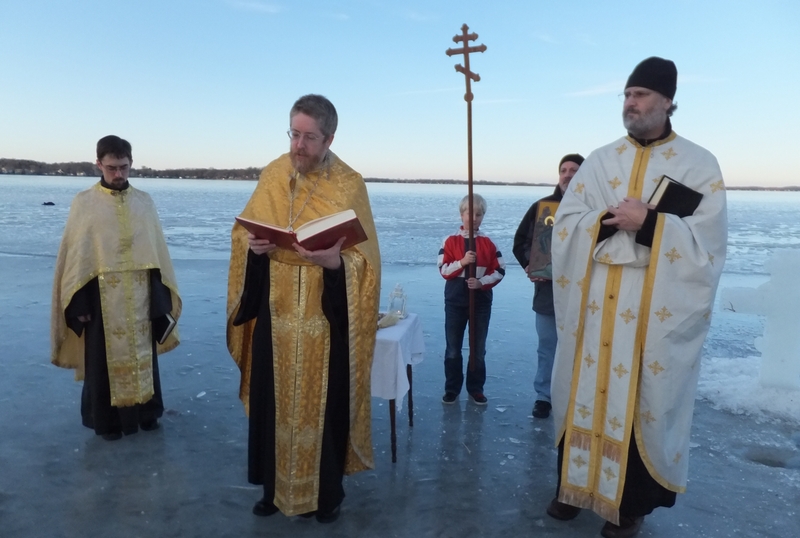 I look forward to returning home, to my family, to my church, to celebrating the first Hierarchical Divine Liturgy of our new Bishop ANTHONY, next weekend (Dec. 18) in Fort Wayne, Indiana, and to the rest of the Nativity Fast and all the celebrations of Christmas & Theophany. This has been a wonderful experience. I am so grateful to my parish and their generous gift which supported my travel to this once-in-a-lifetime event. 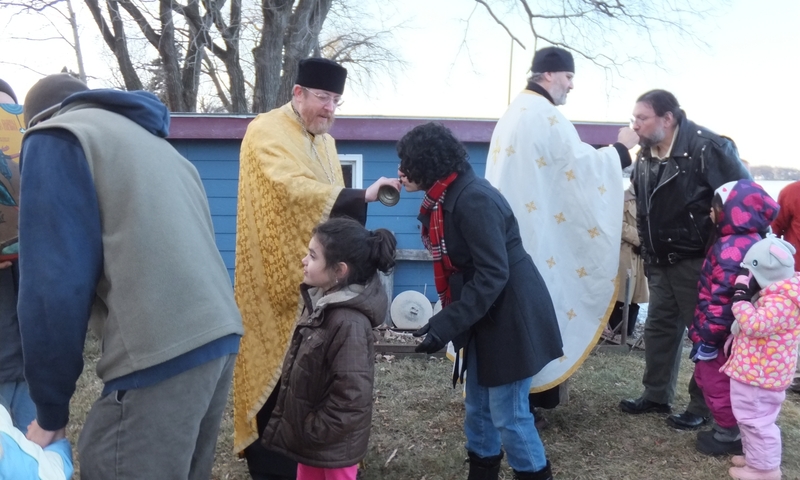 Each year on the Sunday nearest to the celebration of St.Nicholas Day (December 6) the parish of St. Ignatius holds a special coffee hour with parish entertainment and the singing of Christmas Carols. In addition to a relaxing time we are also blessed with a visit from St. Nicholas who often tells stories of his past or is asked questions about his life in the service of Christ and the Church. 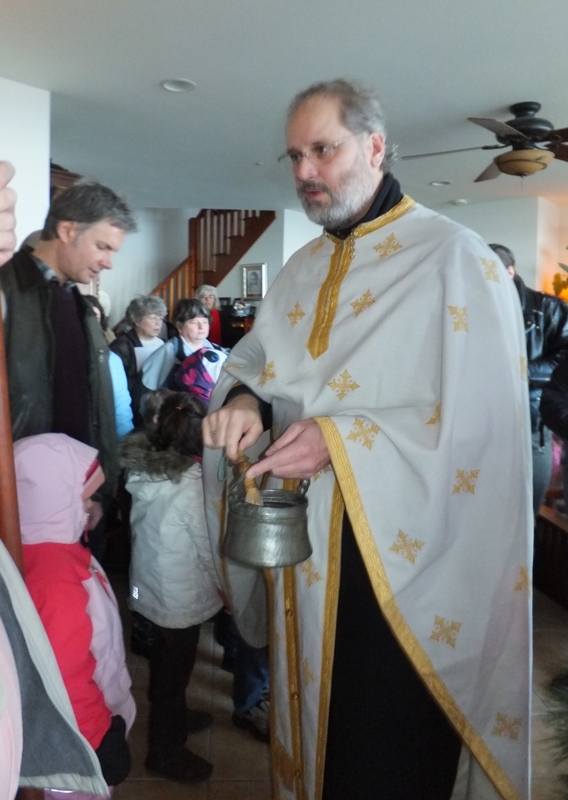 Prior to the start of the program the children of the parish are instructed to put their shoes in the foyer of the church where specially prepared St. Nicholas treats are placed in their shoes during the program. As always, between the fellowship, food, and entertainment a good time was had by all. 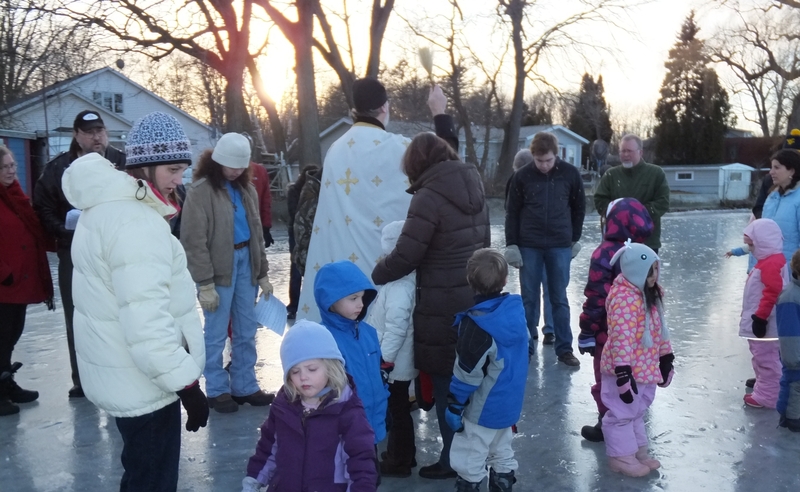 The full feast of St. Nicholas was followed the next day with an evening Vesperal Liturgy dedicated to the Great Saint! 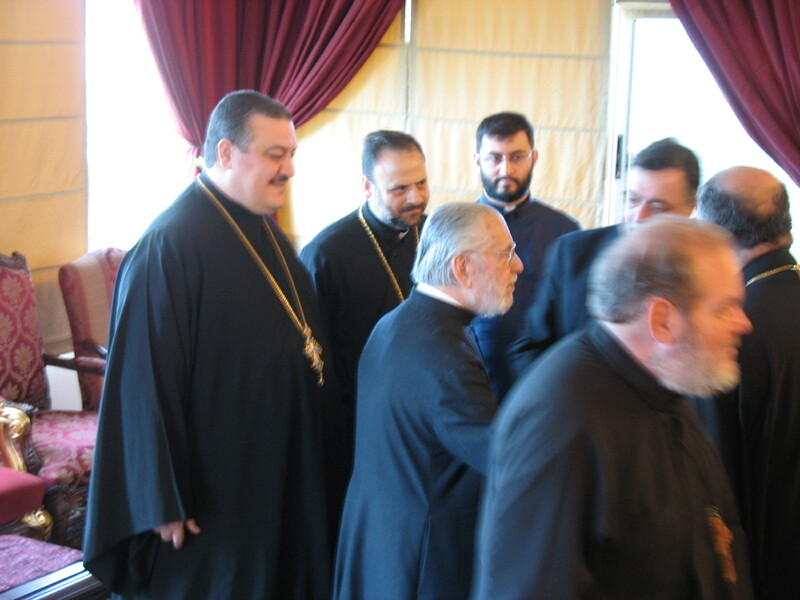 October 28-30 marked the annual Fall meeting of the Midwest Diocese of the Antiochian Archdiocese. 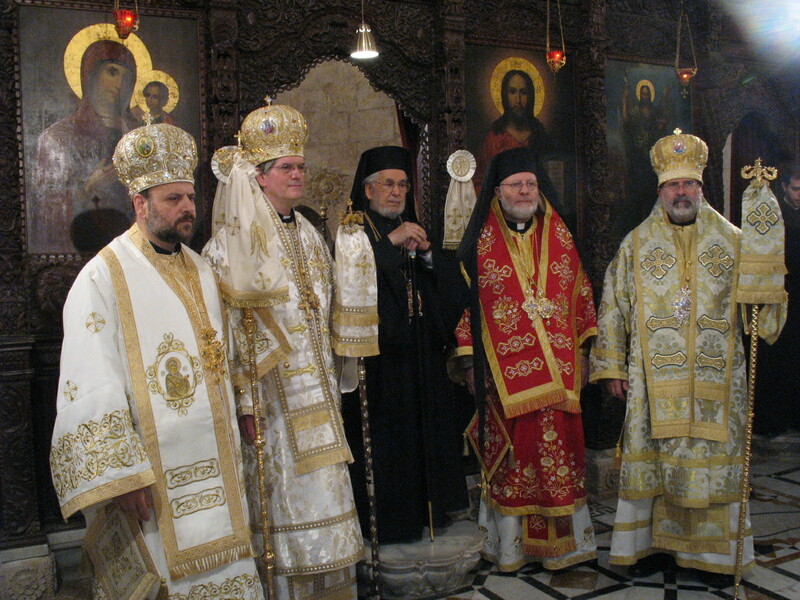 This year’s meeting was held at St. George Church in Flint, MI, under the capable leadership of the V. Rev. Fr. Joseph Abud. 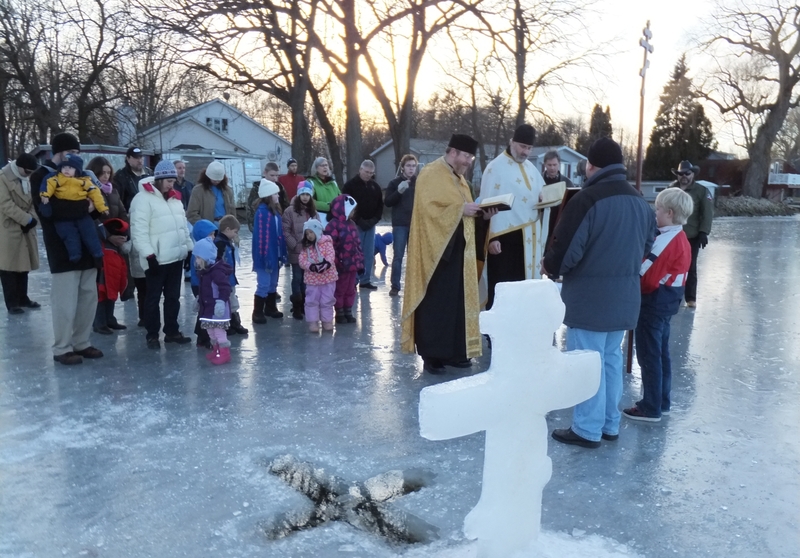 Highlighting the event was the presence of our Diocese’s new Bishop-Elect Anthony Michaels, the current pastor of St. John Chrysostom Church in Fort Wayne, IN. 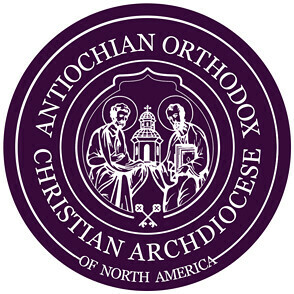 While these meeting are generally geared for the organizations of the Diocese to meet to discuss the progress of their annual activities this year’s Fall meeting carried the excitement that soon we will not only have a new Bishop, but a Bishop whose warmth, enthusiasm, education and pastoral concern will inspire the energy and structures of the Antiochian Midwest Diocese. 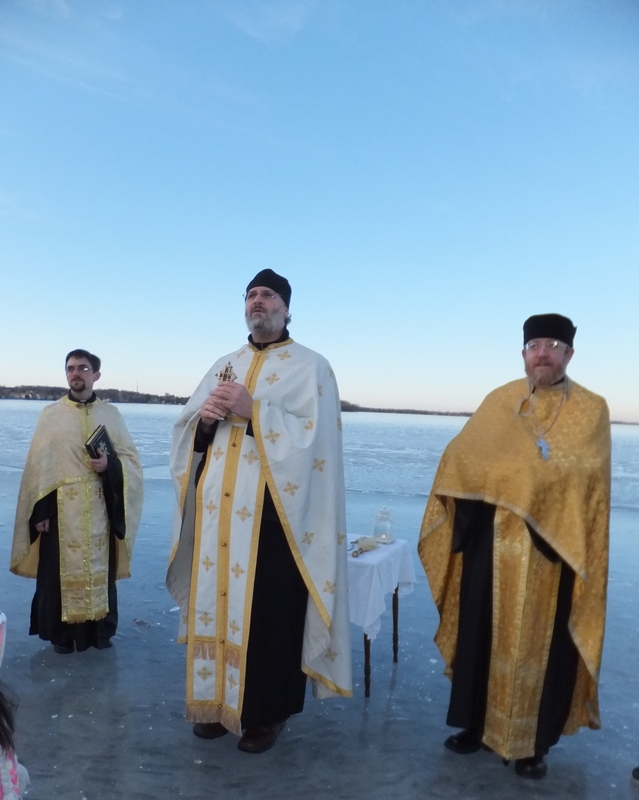 Bishop-Elect Anthony spoke to the priests in attendance, the delegates, the youth and the young adults, and he delivered the homily at Sunday’s Divine Liturgy. Among many topics he spoke about he started his talk to the priests with the duties and responsibilities of the Auxiliary Bishop; and to the entire delegation he emphasized not only the importance of our unity in Christ within our local churches but also with our Hierarchs (Bishops) and between sister churches across the entire Diocese, this face of our Church being significant in showing the world around us the Truth, wholeness and stability that God Himself has given through His One, Holy, Catholic and Apostolic Church. Another highlight of the weekend was the service project organized by Khouryia Leslie Abud for the Diocesan Teen SOYO to work at a local Soup Kitchen sponsored by Catholic Charities. About 80 teens traveled to one of Flint’s impoverished areas to help organize a clothing give away scheduled for the following week and to help serve dinner to Soup Kitchen clients. The Teens energetically finished their work a little early and was treated to an excellent talk on the history of poverty in the Flint area given by the Soup Kitchen coordinator. It was an edifying afternoon which then ended with the celebration of Great Vespers back at St. George and preparations for dinner and an evening of joyful fellowship. Thank you Fr. Joe & Leslie, and to your entire parish for hosting such a beautiful weekend. Thank you Fr. Anthony for the great encouragement you’ve given us to embrace our lives in Christ and the greater Church more and more fully. God be with you in your preparations for consecration to the Holy Episcopate.